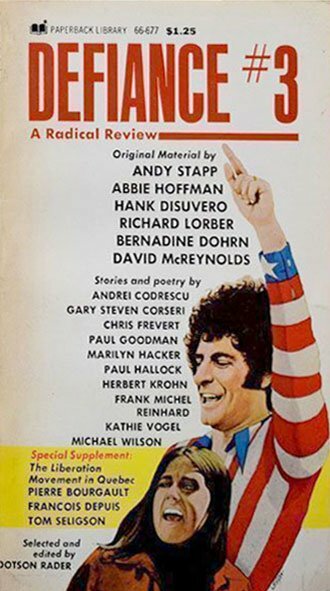 Social alternative review with special focus on The Liberation Movement in Quebec (some material in French) & original material by host of protestors, including Abbie Hoffman, Andy Stapp, Hank Disuvero, Richard Lorber, Bernadine Dohrn & David McReynolds. Text: Rader Dotson. pp. 304; paperback. Publisher: Paperback Library, New York, 1971.